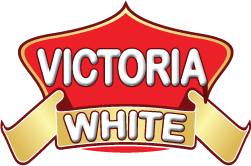 Victoria White ensures a continuous and quality-consistent supply of a wide range of Rice varieties and Milk Powder. The brand focuses primarily on bulk supply to retail, HORECA segments and wholesalers. Effective service and quality of products, at most competitive price, makes Victoria White one of the popular brands in UAE. The decades long experience in the industry makes it even more easy for us attend to all conceivable demands of our customers and hence still continue to grow steadily.